Wyndham Vacation Resorts Asia Pacific has taken its first steps beyond its home region with the addition of two properties on the Hawaiian island of Kauai. WorldMark South Pacific Club by Wyndham Bali Hai Villas and WorldMark South Pacific Club by Wyndham Ka ‘Eo Kai, both located in the resort community of Princeville, will be available to timeshare owners in the WorldMark South Pacific Club by Wyndham from January 2018. WorldMark South Pacific Club is a modern and flexible vacation ownership programme that gives more than 55,000 WorldMark owners a convenient and affordable way to holiday across a network of 30 resorts in Australia, New Zealand, Fiji, Thailand and Hawaii. Barry Robinson, president and managing director of Wyndham Vacation Resorts Asia Pacific, said: “For a long time our WorldMark South Pacific Club owners have been telling us that Hawaii is among their most desired holiday destinations, and we are thrilled to add two Kauai properties to our resort collection. Known as the Garden Isle thanks to the thick blanket of rainforest covering much of the island, Kauai boasts famous sites include the Waimea Canyon, Napali Coast, Kalalau Lookout, Wailua Falls and Hanalei Beach. 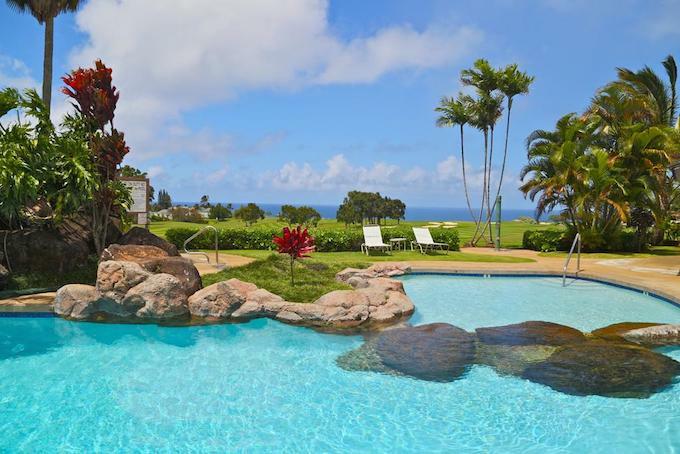 WorldMark Ka ‘Eo Kai offers breathtaking ocean and mountain views, with amenities including an outdoor swimming pool, a children’s pool, tennis court, laundry facilities and concierge services. WorldMark Bali Hai Villas is adjacent to the Makai Golf Club and boasts two outdoor swimming pools, three outdoor hot tubs, a volleyball court and barbecue area.